Drugstore Cowgirl: Help! 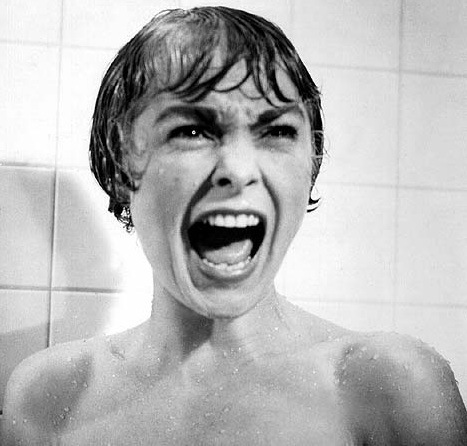 I Left for Vacation Without My Makeup Bag!!! Foundation: Do you really need foundation on vacation?? Really? 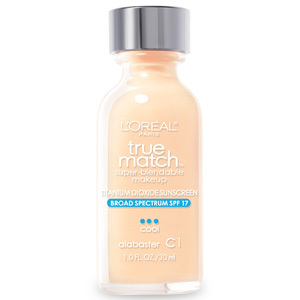 I personally say skip it but if you insist, try L’Oreal Paris True Match Super Blendable Makeup ($10.95) which contains no oils, fragrances, or pore-clogging fillers. It also has skin-loving ingredients like Vitamins A and C, wheatgerm and grape fruit extract. And most importantly, it comes in 33 different shades so you shouldn’t have a problem finding a match. From the runways to the subways, I’m seeing nothing but neon. Neon makeup and hair started lighting up the runways last year, and since then this 80s staple trend quickly blinded the masses with an explosion of day-glo fashion and beauty products. Walking down the streets of NYC, I see everything from young girls with fluorescent hair streaks and matching lipstick to career fashionistas furiously typing away on their smart phones with nails painted in the season’s latest electric colors. If you’re not in the mood to do a full eye of makeup, just add a little pop of color with neon mascara, as seen on the models at Stella McCartney AW 2012 Paris. Makeup Artist Master Pat McGrath used Cover Girl Lashblast 24 Hour Mascara coated with a blue pigment gel to achieve the look. At home, apply two coats of your favorite volume-pumping mascara in black, let it dry, and then coat with an electric blue mascara like Tokidoki Punk Lash Mascara in Baby Rocker. Go bold or go home. Maria rocks a different day-glo shade every day. She doesn’t care if it’s 8 AM in Midtown Manhattan on a Monday, she’ll be wearing a fluorescent fuchsia. Try a bold pink like Mirabella Lip Colour in Over the Top, which is highly pigmented color yet doesn’t bleed. Or, add a pop of orange (after all, Tangerine Tango is the Pantone color of the year) try MAC Pro Amplified Creme Lipstick in Neon Orange, or go for a more sheer shade like Bobbi Brown’s Sheer Lip Gloss in Citrus. If you feel like you’re on the cusp of being too shy to pull off this look, take baby steps and paint your nails a different blinding hue every week (or day, if you happen to have the time and dedication). Every brand seems to have a color story this Spring involving neon. Have fun experimenting with the under $10 brands like China Glaze Poolside Collection ($6.50 per bottle / $17.75 for set of 6) and invest wisely in the premium lines like Dior ($23 per bottle). Make sure you test the level of opacity. It may look bold in the bottle, but sheer once its on your nail. To make a neon pop even more, apply an opaque white like Sally Hansen Hard as Nails Xtreme Wear in White On as your base coat and then paint two coats of your neon. I know this is going to make me sound like a snob, but I haven’t dabbled in drugstore lipstick since high school. It’s always had this stigma for me of containing harmful toxins, being overly waxy, and generally cheap. I’m not a gloss girl (too sticky). I tend more towards sheer, shiny wine-hued lipsticks. My two constants are Clinique Almost Lipstick in Black Honey for daytime and Lipstick Queen in Saint Wine for nighttime. As much as I’m a beauty addict, I usually don’t venture past my safe zone when it comes to lipstick. The Clinique and Lipstick Queen look good and leave my lips moist. Easy. Done. Done until I fell in love with Jessica Stam’s lips in the CoverGirl campaign, wearing CoverGirl LipPerfection in Euphoria (see left). When I read that all-star makeup artist Pat McGrath (whom I worship) is their Creative Design Director and curated the LipPerfection collection, I knew it was time I broke my ban. When I broke open the plastic, I can promise you I was just as eager as when I was 13-years-old, cracking open my first Bonne Bell Pink Frost. Ladies, this lipstick f’ing rocks. It goes on smooth, with lots of pigment, and tons of moisture and shine. It’s like a hydrating stain. Yeah, go ahead and read that last line again. I never thought I would see the day either. This is a long-wearing lipstick that doesn’t dry out your lips! It’s a miracle! Well… Miracle may be a reach. It does smell a little bit like a crayon and when I took it out today to show Maria, I removed the cap and the entire lipstick shot out of its tube like a torpedo, leaving me with an empty container. The only consolation? I knew I could cross the street to the drugstore and replace it for less than $10.